Today www.eprothom-alo.com published new job in there website. You can also get updates about Brac Job Circular in My website. See below the more information. Check and Download Brac New NGO Jobs circular in March 2018 in ejobscircular.com .In this Job circular you have to apply before 28 March, 2018/06 April, 2018. Age Limit: Maximum 35 year(s). Job Location: BRAC Field Office. 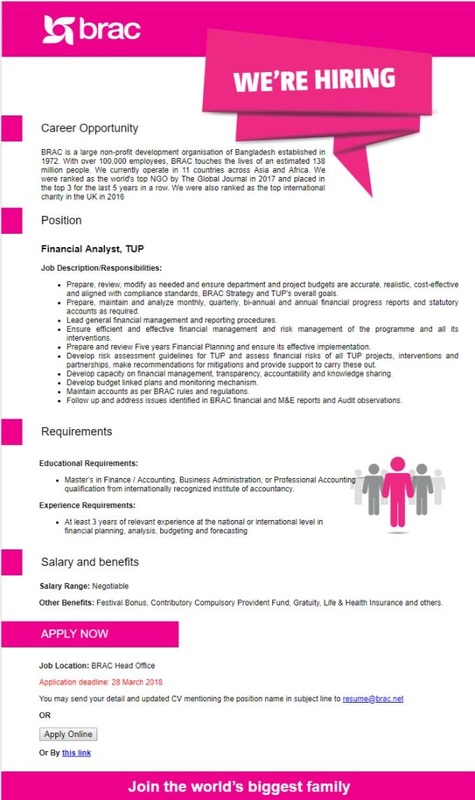 Application Last Date: 28 March, 2018/06 April, 2018.